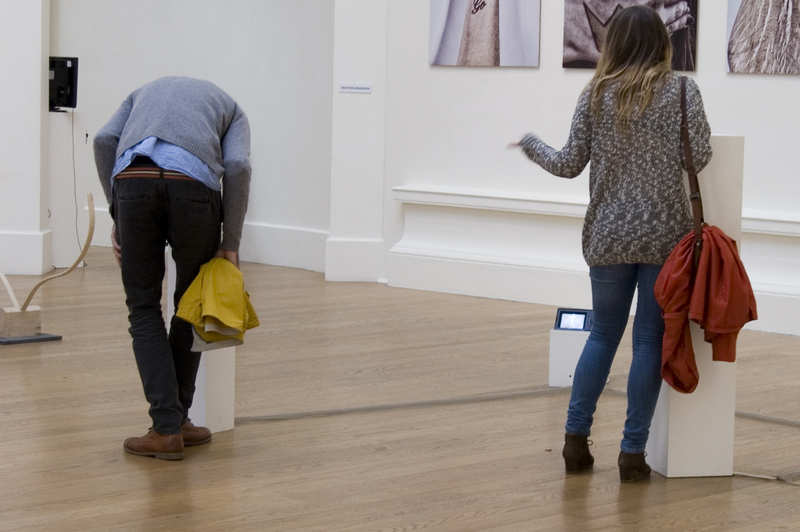 Four video installations across two galleries using a combination of recorded footage and live-feed video. In one room three video works stood in a cluster: Face, Eye, and Step. 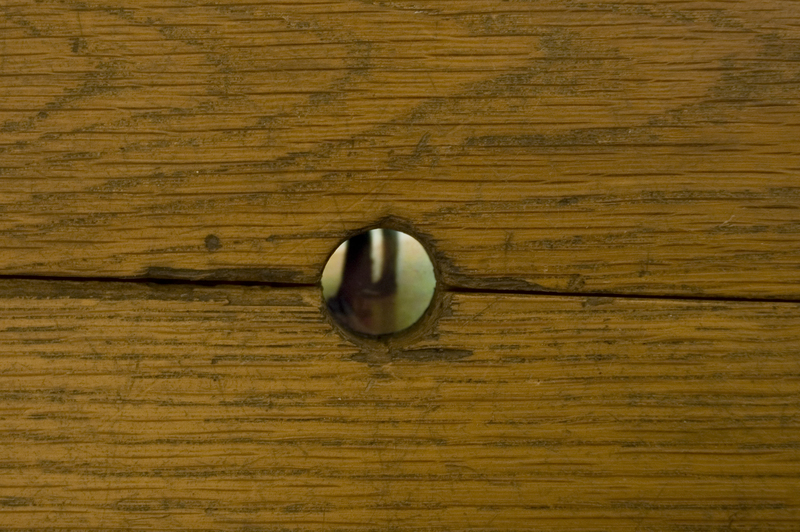 The fourth work Hole was installed in the adjacent room beneath/through the floorboards. The short video loop had been recorded within the RSA in one of the gallery spaces downstairs.